PA Heidenreich, NM Albert, LA Allen, DA Bluemke, J Butler, et al. Circulation: Heart Failure 2013;6. Print ISSN: 1941-3289, Online ISSN: 1941-3297.
among older Americans, more are hospitalized for HF than for any other medical condition. As the population ages, the prevalence of HF is expected to increase. provide an in-depth look at how the changing demographics in the United States will impact the prevalence and cost of care for HF for different US populations. US Census Bureau projected population counts for years 2012 to 2030.
factor out the costs attributable to comorbid conditions. (2) the costs of technological innovation will rise at the current rate. 1. HF prevalence and average cost per person were estimated by age group (18–44, 45–64, 65–79, ≥80 years), gender (male, female), and race/ethnicity (white non-Hispanic, white Hispanic, black, other) . The initial HF cost per person and rate of increase in cost was determined for each demographic group, as a percentage of total healthcare expeditures. 2. Inflation is separately addressed by correcting dollar values from Medical Expenditure Panel Survey (MEPS) to 2010 dollars. 3. Nursing home spending triggered an adjustment. The estimates project the incremental cost of care attributable to heart failure (HF). 5. The total work loss and home productivity loss costs were generated by multiplying per capita work days lost attributable to HF by (1) prevalence of HF, (2) the probability of employment given HF (for work loss costs only), (3) mean per capita daily earnings, and (4) US Census population projection counts. Indirect costs of lost productivity from morbidity and premature mortality were estimated as detailed below. home productivity loss, which is the value of household services performed by household members who do not receive pay for the services. Excludes HF care costs that have been attributed to comorbid conditions. hospitalization. Also, the majority of increase is from directs costs. Indirect costs are expected to rise as well, but at a lower rate, from $9.8 billion to $16.6 billion, an increase of 69%. Direct costs (cost of medical care) are expected to increase at a faster rate than indirect costs because of premature deaths and lost productivity. The total cost of HF (direct and indirect costs) is expected to increase in 2030 from the current $30.7 billion to at least $69.8 billion. This will amount to $244 for every US adult in 2030. Thus the burden of HF for the US healthcare system will grow substantially during the next 18 years if current trends continue. by 2030, the prevalence of HF in the United States will increase by 25%, to 3.0%. >8 million people in the US (1 in every 33) will have HF by 2030.
the projected total direct medical costs of HF between 2012 and 2030 (in 2010 dollars) will increase from $21 billion to $53 billion. Total costs, including indirect costs for HF, are estimated to increase from $31 billion in 2012 to $70 billion in 2030. (no cost attribution to comorbid conditions), the 2030 projected cost estimates of treating patients with HF will be 3-fold higher ($160 billion in direct costs). Projections can be lowered if action is taken to reduce the health and economic burden of HF. Strategies, plans, and implementation to prevent HF and improve the efficiency of care are needed. If the projections for accelerating HF costs are to be avoided, attention to the different causes of HF and their risk factors is warranted. In 2001, the American College of Cardiology and AHA practice guidelines for chronic HF promoted a classification system that encompasses 4 stages of HF. Stage B: a structural heart disorder but no symptoms. Stage C: previous or current symptoms of heart failure, manageable with medical treatment. the available therapies aimed at mitigating disease progression. Stage A patients have risk factors for HF hypertension, atherosclerotic heart disease, and/or diabetes mellitus. Patients with stage B are asymptomatic patients who have developed structural heart disease from a variety of potential insults to the heart muscle such as myocardial infarction or valvular heart disease. Stages C and D represent the symptomatic phases of HF, with stage C manageable and stage D failing medical management, resulting in marked symptoms at rest or with minimal activity despite optimal medical therapy. older age, male gender, ethnicity, and low socioeconomic status. with diabetes mellitus increasing the risk of HF by ≈2-fold in men and up to 5-fold in women. Smoking remains the single largest preventable cause of disease and premature death in the United States. Improved implementation of guidelines can delay, mitigate or prevent the onset of HF, and improve survival. Performance improvement programs have facilitated the implementation of evidence-based therapies in both hospital and ambulatory care settings. in an effort to reduce avoidable readmissions. improving quality of care by continually monitoring adherence to national evidence-based guidelines with appropriate adaptations for individual differences in needs and responses. In multiple studies,adherence to the HF plan of care was associated with reduced all-cause mortality as well as HF hospitalization. a focus of public reporting in pay for performance. the costs of care during the last 6 months for a patient with HF have been increasing (11% from 2000 to 2007). Palliative care, including formal hospice care, is increasingly advocated for patients with advanced HF. patients with HF were more likely than patients with cancer to use hospice services longer than 6 months or to be discharged from hospice care alive. 1. If stages A & B are under the radar, then what measures can best trigger the use of evidence-based guidelines for care? 2. Why are evidence-based guidelines commonly not deployed? The arguments for introducing coordinated care and for evidence-based guidelines is strong. Arguments AGAINST slavish imposition of evidence based medicine include genetic individuality (what is best on average is not necessarily best for each genetically and behaviorly distinct individual). Strict adherence to evidence-based guidelines also stifles innovative explorations. None-the-less, deviations from evidence-based plans should be cautious, well-documented, and well-informed, not due to mal-aligned incentives, ignorance, carelessness or error. The question of when and how to intervene most cost effectively is unanswered. If some patients are salt-sensitive as a contribution to the prevalence of hypertension and heart failure, should EVERYONE be salt restricted or should there be a more concerted effort to define who is salt sensitive? What if it proved more cost-effective to restrict salt intake for everyone, even though many might be fine with high sodium intake, and some might even benefit from or require high sodium intake? Is it reasonable to impose costs, hurdles, even possible harm on some as a cheaper way to achieve “greater good”? These issues are highly relevant to the proposed emphasis on holistic solutions. telltale mutations or aberrations in the DNA. Robin Ashwood, one of Mr. Del Sontro’s sisters, found out she had extensive heart disease even though her electrocardiograms was normal. Six of her seven siblings also have heart disease, despite not having any of the traditional risk factors. Then, after a sister, just 47 years old, found out she had advanced heart disease, Mr. Del Sontro, then 43, went to a cardiologist. An X-ray of his arteries revealed the truth. Like his grand-father, his mother, his four brothers and two sisters, he had heart disease. GF Mitchell, Shih-Jen Hwang, RS Vasan, MG Larson. Various measures of arterial stiffness and wave reflection have been proposed as cardiovascular risk markers. Prior studies have not assessed relations of a comprehensive panel of stiffness measures to prognosis. higher aortic PWV was associated with a 48% increase in cardiovascular disease risk (95% confidence interval, 1.16 to 1.91 per SD; P 0.002). After PWV was added to a standard risk factor model, integrated discrimination improvement was 0.7% (95% confidence interval, 0.05% to 1.3%; P 0.05). were not related to cardiovascular disease outcomes in multivariable models. is associated with increased risk for a first cardiovascular event. improve or at least to stabilize arterial elasticity: medication that might affect factors that determine the stiffness of the arteries, like collagen, like fibroblasts. A related article was published on the relationship between arterial stiffening and primary hypertension. Arterial stiffening provides sufficient explanation for primary hypertension. KH Pettersen, SM Bugenhagen, J Nauman, DA Beard, SW Omholt. arterial stiffening seems sufficient to explain age-related emergence of hypertension. the reestablishment of a proper baroreflex response. risks of recurrent adverse cardiovascular events, morbidity, and mortality. Clinical assessment alone has limitations. Clinicians have used additional tools to aid clinical assessment and to enhance their ability to identify the “vulnerable” patient at risk for CVD, as suggested by a recent National Institutes of Health (NIH) panel. Biomarkers are one such tool to better identify high-risk individuals, to diagnose disease conditions promptly for diagnosis, prognosis, and treatment guidance. Type 0 correlates longitudinally with known clinical indices/predicts outcomes. Type I assesses an aspect of treatment mechanism of action. With biomarkers monitoring disease progression or response to therapy, the patient can serve as his or her own control (follow-up values may be compared to baseline values). Costs may be less important for prognostic markers when they are largely restricted to people with disease (total cost=cost per person x number to be tested, plus down-stream costs). Some biomarkers (e.g., an exercise stress test) may be used for both diagnostic and prognostic purposes. are unlikely to be cost-effective (judged in terms of quality-adjusted life-years gained). Typically, for a biomarker to change management, it is important to have evidence that risk reduction strategies should vary with biomarker levels, and/or biomarker-guided management achieves advantages over a management scheme that ignores the biomarker levels. Typically it means that biomarker levels should be modifiable by therapy. partitions the information or necessary reports in a workstation entered by keying to icons. about any patient the care giver needing access to the record. A basic issue for such a tool is what information is presented and how it is displayed. Continuing work is in progress in extending the capabilities with model datasets, and sufficient data based on the assumption that computer extraction of data from disparate sources will, in the long run, further improve this process. in the absence of substantially reduced renal function. Similarly, the conversion of hematology based data into useful clinical information requires the establishment of problem-solving constructs based on the measured data. of the formed elements from the blood-forming organ into the circulation. 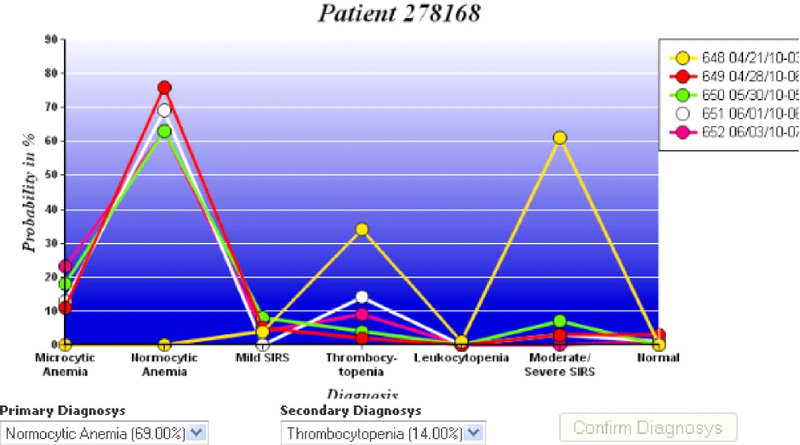 In the hemogram one can view data reflecting the characteristics of a broad spectrum of medical conditions. the maturity and size of the circulating cells. the classification and interpretation of the data used to determine a knowledge-based clinical opinion. The exponential growth of knowledge since the mapping of the human genome enabled by parallel advances in applied mathematics that have not been a part of traditional clinical problem solving. the dependencies have become less clear to the individual. Contemporary statistical modeling has a primary goal of finding an underlying structure in studied data sets. multiple complex clinical features as well as onset and duration . An example of a difficult area for clinical problem solving is found in the diagnosis of Systemic Inflammatory Response Syndrome (SIRS) and associated sepsis. SIRS is a costly diagnosis in hospitalized patients. Failure to diagnose it in a timely manner increases the financial and safety hazard. The early diagnosis of SIRS/sepsis is made by the application of defined criteria by the clinician. a reliable method for earlier diagnosis of SIRS. readily available indicator of the presence of granulocyte precursors (left shift). a promising support to early accurate decision making. the conjoined syndromic features of disparate data elements . the data we collect to examine the process. In the absence of data to support an assumed benefit, there is no proof of validity at whatever cost. the unaided mind burdened with information processing. design of the software that presents data . as the designer would prefer, and not as the end-user would like. Each item used has to be closely related to a corresponding criterion needed for a decision. set the groundwork for the methods used today in clinical microbiology. will have a significant bearing on how we can view laboratory data. amplify or maximize structural information to create distinctive classes. The method classifies by taking the number of features with sufficient variety to generate maps. each variable is scaled to assign values for each message choice. For example, the message for an antibody titer would be converted from 0 + ++ +++ to 0 1 2 3. Even though there may be a large number of measured values, the variety is reduced by this compression, even though it may represent less information. how a combination of variables falls into a table to convey meaningful information. accurate assignment into uniquely variable groups by information in test relationships. One determines the effectiveness of each variable by its contribution to information gain in the system. The reference or null set is the class having no information. Uncertainty in assigning to a classification can be countered by providing sufficient information. found a simple relationship between K-L information and Fisher’s maximized log-likelihood function. Akaike pioneered recognition that the choice of model influence results in a measurable manner. In particular, a larger number of variables promotes further explanations of variance, such that a model selection criterion is important that penalizes for the number of variables when success is measured by explanation of variance. causes of hospital admission that carry a high cost and morbidity. cancer(s)[breast, prostate, colorectal, pancreas, stomach, liver, esophagus, thyroid, and parathyroid]. malnutrition: standard of care. Nutrition 1995; 11:169-171.
integration of serum markers and clinical descriptors using information theory. Yale J Biol Med 1999; 72: 5-13. Fetal Lung Maturity Assessment Project. Clin Chim Acta 2002; 326(8): 61-68.
data. Yale J Biol Med 1999; 72:259-268.
chest pain. Yale J Biol Med 2002; 75, pp. 183-198. R. Coifman and N. Saito. Constructions of local orthonormal bases for classification and regression. C. R. Acad. Sci. Paris, 319 Série I:191-196, 1994.
utilizing the vast aggregated knowledge (diagnosis, analysis, treatment, etc.) of the medical community. in which anomalous subprofiles are extracted and compared to potentially relevant cases. As the model grows and its knowledge database is extended, the diagnostic and the prognostic become more accurate and precise. shortened length of patients ICU and bed days. as illustrated in the following case acquired on 04/21/10. The patient was diagnosed by our system with severe SIRS at a grade of 0.61 . The MISSIVE(c) system, by Justin Pearlman, is an alternative approach that includes not only automated data retrieval and reformatting of data for decision support, but also an integrated set of tools to speed up analysis, structured for quality and error reduction, couplled to facilitated report generation, incorporation of just-in-time knowledge and group expertise, standards of care, evidence-based planning, and both physician and patient instruction. Rudolph RA, Bernstein LH, Babb J: Information-Induction for the diagnosis of myocardial infarction. Clin Chem 1988;34:2031-2038. Bernstein L.H. ; Gillen-Goldstein J. 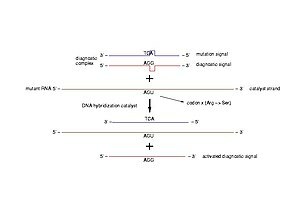 Prediction of Respiratory Distress Syndrome using the Abbott FLM-II amniotic fluid assay. The National Academy of Clinical Biochemistry (NACB) Fetal Lung Maturity Assessment Project. Clin Chim Acta 2002; 326(8): 61-68. Ronald Raphael Coifman and Mladen Victor Wickerhauser. Adapted Waveform Analysis as a Tool for Modeling, Feature Extraction, and Denoising. & Computers 2004; 36 (3): 506–515. Landauer, T. K., Ross, B. H., & Didner, R. S. (1979). Processing visually presented single words: A reaction time analysis [Technical memorandum]. Murray Hill, NJ: Bell Laboratories. Weed L. Automation of the problem oriented medical record. NCHSR Research Digest Series DHEW. 1977;(HRA)77-3177. Naegele TA. Letter to the Editor. Amer J Crit Care 1993;2(5):433. Sheila Nirenberg/Cornell and Chethan Pandarinath/Stanford, “Retinal prosthetic strategy with the capacity to restore normal vision,” Proceedings of the National Academy of Sciences. Based on “Forging a path from companion diagnostics to holistic decision support”, L.E.K. LIKELY responders to therapies that are specific for patients with ma specific molecular profile. thus, entailing a poor expected response. not alike with respect to efficacy of treatment with a standard therapy. without regard to other clinical issues. 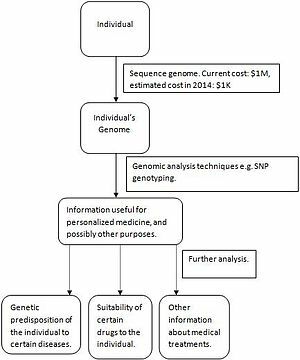 emergent genomic/proteomic analysis that has become available and which has rapidly declining cost to obtain. The limitation example given is HER2 testing for use of Herceptin in therapy for non-candidates (HER2 negative patients). validated biomakers obtained on a small biopsy sample (technically manageable) with confusing results. the HER2 negative designation does not preclude treatment with Herceptin. So the Herceptin would be given in combination, but with what other drug in a non-candidate? A comprehensive solution of this nature appears to be a distance from realization. However, is this the direction that will lead to tomorrows treatment decision support approaches? As a starting point, L.E.K. characterized the landscape of available tests in the U.S. that inform treatment decisions compiled from ~50 leading diagnostics companies operating in the U.S. between 2004-2011. L.E.K. identified more than 200 decision support tests that were classified by test purpose, and more specifically, whether tests inform treatment decisions for a single drug/class (e.g., companion diagnostics) vs. more holistic treatment decisions across multiple drugs/classes (i.e., multiagent response tests). Oncotype Dx Genomic Health, Inc.
ResponseDX: Lung Response Genetics, Inc. However, holistic decision support tests (e.g., multi-agent response) are growing the fastest at 56% CAGR. to become deployed in the clinic. L.E.K. also completed an assessment of publicly available personalized medicine partnership activity from 2009-2011 for ~150 leading organizations operating in the U.S. to look at broader decision support trends and emergence of more holistic solutions beyond diagnostic tests. top-20 tools vendors for the period of 01/01/2009 – 12/31/2011. Across the sample we identified 189 publicly announced partnerships of which ~65% focused on more traditional areas (biomarker discovery, companion diagnostics and targeted therapies). However, a significant portion (~30%) included elements geared towards creating more holistic decision support models. integrating various datasets to create richer decision support solutions. emerging personalized healthcare (PHC) companies (e.g., Knome, Foundation Medicine and 23andMe). This finding suggests that these new stakeholders will be increasingly important in influencing care decisions going forward. L.E.K. believes the likely debate won’t center on which models and companies will prevail. It appears that the industry is now moving along the continuum to a truly holistic capability. The mainstay of personalized medicine today will become integrated and enhanced by other data. and synthesize it for personalized care. Holistic models will be powered by increasingly larger datasets and sophisticated decision-making algorithms. science, technologies, infrastructure and tools necessary for deployment. How will holistic decision support impact the landscape ? What components will be required to build out holistic solutions? How can various components be brought together to build seamless holistic decision support solutions? In which areas should models be deployed over time? Where are clinical and economic arguments most compelling? by date, to cite examples. in a workstation entered by keying to icons. how it is displayed, which is a source of variability and a key to its success. the conjoined syndromic features of the disparate data elements. it facilitates both the workflow and the decision-making process with a reduction of medical error. the extraction of data from disparate sources will, in the long run, further improve this process. For instance, the finding of both ST depression on EKG coincident with an elevated cardiac biomarker (troponin), particularly in the absence of substantially reduced renal function. The conversion of hematology based data into useful clinical information requires the establishment of problem-solving constructs based on the measured data. the review of a peripheral smear. data reflecting the characteristics of a broad spectrum of medical conditions. multiple complex clinical features as well as duration of onset into the model. An example of a difficult area for clinical problem solving is found in the diagnosis of SIRS and associated sepsis. SIRS (and associated sepsis) is a costly diagnosis in hospitalized patients. Failure to diagnose sepsis in a timely manner creates a potential financial and safety hazard. The early diagnosis of SIRS/sepsis is made by the application of defined criteria by the clinician. has not provided a reliable method for the early diagnosis of SIRS. a promising approach to enhance workflow and decision making. disparate data elements with an anticipated reduction of medical error. design of the software that presents this data the situation could be improved. that the physician would likely act on in an easily accessible manner. The key point is that each item used has to be closely related to a corresponding criterion needed for a decision. with sufficient variety to map into a theoretic standard. 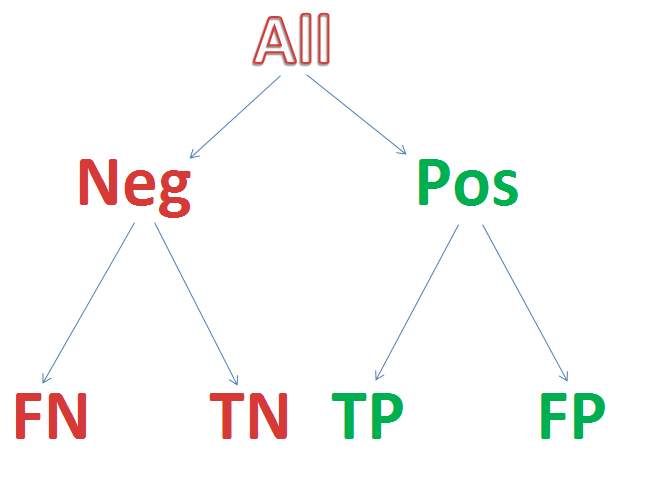 a truth table, and each variable is scaled to assign values for each: message choice. 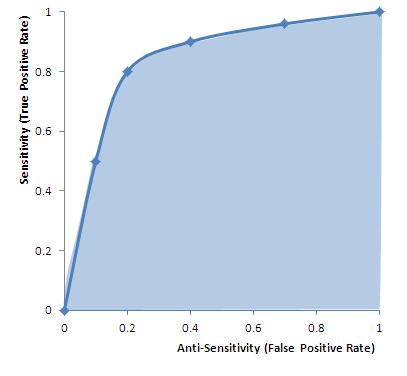 choice in an antibody titer would be converted from 0 + ++ +++ to 0 1 2 3.
by this compression, even though there is risk of loss of information. its contribution to information gain in the system. only relieved by providing sufficient information. as a result of the seminal work of Akaike, Leo Goodman, Magidson and Vermunt, and work by Coifman. 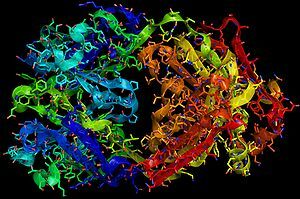 For example: anemias (iron deficiency, vitamin B12 and folate deficiency, and hemolytic anemia or myelodysplastic syndrome); pneumonia; systemic inflammatory response syndrome (SIRS) with or without bacteremia; multiple organ failure and hemodynamic shock; electrolyte/acid base balance disorders; acute and chronic liver disease; acute and chronic renal disease; diabetes mellitus; protein-energy malnutrition; acute respiratory distress of the newborn; acute coronary syndrome; congestive heart failure; disordered bone mineral metabolism; hemostatic disorders; leukemia and lymphoma; malabsorption syndromes; and cancer(s)[breast, prostate, colorectal, pancreas, stomach, liver, esophagus, thyroid, and parathyroid]. We have developed a software system that is the equivalent of an intelligent Electronic Health Records Dashboard that provides empirical medical reference and suggests quantitative diagnostics options. meeting the highest standard of accuracy. The Cost Burden of Disease: U.S. and Michigan CHRT Brief. January 2010. Ronald Raphael Coifman and Mladen Victor Wickerhauser. Adapted Waveform Analysis as a Tool for Modeling, Feature Extraction, and Denoising. Optical Engineering 1994; 33(7):2170–2174. Coifman and N. Saito. Constructions of local orthonormal bases for classification and regression. C. R. Acad. Sci. Paris, 319 Série I:191-196, 1994. W Ruts, S De Deyne, E Ameel, W Vanpaemel,T Verbeemen, And G Storms. Dutch norm data for 13 semantic categories and 338 exemplars. Behavior Research Methods, Instruments, & Computers 2004; 36 (3): 506–515. Landauer, T. K., Ross, B. H., & Didner, R. S. (1979). Processing visually presented single words: A reaction time analysis [Technical memorandum]. Murray Hill, NJ: Bell Laboratories. Lewandowsky, S. (1991). Naegele TA. Letter to the Editor. Amer J Crit Care 1993:2(5):433. The potential contribution of informatics to healthcare is more than currently estimated.